Heard:Industry rumblings are being tossed around that the new wave in bulking is set to drop early this year. Over the past year, relatively little has happened in the natural anabolics corner of the market in terms of bulking and muscle mass gains, leaving those looking for an added edge when it comes to increasing mass and strength with only a handful of viable options to choose from. This month, Black Lion Research is planning to shake up the industry with the release of what they are calling the “next generation of natural bulking anabolics.” Rumored to be first in line is Vector, a bulking anabolic derived from a blend of three extracts which we are told are proven through testing to have benefits for bodybuilders, physique competitors, and strength athletes alike. While Black Lion Research is guarding the ingredient panel tightly, we have managed to get an idea of potential effects that you may be able to expect. UPDATE: Exotic Ingredient Mix For Vector Has Now Been Released, See Below. Vector is intended to be a straight muscle mass builder, so you can expect an increase in muscle growth potential and protein synthesis, with a decrease in catabolism (muscle wasting) and fat mass for overall gains in muscle and strength, in addition to androgenic effects like increased libido. But what Black Lion Research is really hoping to establish with Vector is solid athletic performance enhancement from a strictly plant-based supplement. Early reports suggest ingredients may improve cellular oxygen consumption and glucose utilization in the muscles, leading to increased endurance and strength while decreasing lactic acid build up. As natural anabolics tend to be strictly for the physique-based sports, if Vector can indeed deliver on these performance aspects it will truly be a one-of-a-kind product once it hits the market. Keep your eyes on Strong Supplement Shop for updates on product development, and make sure you click the link above to get notified when product news becomes available for Vector. 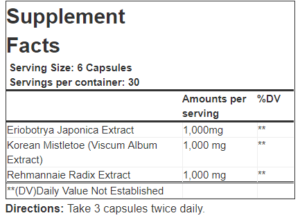 I’m taking prescription testosterone 200ml from my doctor, is Vector safe to combine with my prescription? Hi Lee – Thank you for your question. This is an easy answer – please talk to your doctor first, its not a good idea to start any supplement cycle when you are being treated by a physician until you discuss it with them. Also, its yet to be seen what’s exactly on the ingredient panel as the product has not yet ben released, we should know shortly. We do know its botanical based and its a synergistic mix of new bulking ingredients. Black Lion does their homework and knows their science, their products have been up to the test in the past. If history is any indication Vector will be strong. Where’s the discount code in email? Hey Arnold – Thank you for your question. The discount code is in the email, however, I am putting it up here now, hopefully they won’t make me take it down. Please don’t wait. When this sale ends it ends (there is less than 60hrs left at the time of this post). When every one of these sales end we get a bunch of people wanting to get the discount but we cannot help them out, even if we wanted to. The software shuts the code down exactly on time…and the sale is gone forever. Ordered mine today, can’t wait! Hi Dree – Thank you for your question. I really don’t quite know how to answer this. Do you mean what time of day? Or maybe in what phase of a cycle? Or even how much time before or after a workout or eating. We definitely need to know more details to give you a good answer. This is a good example of why I tend to suggest you call our Pro Support Staff because they can discuss your specific questions and requirements and give you a quality specific answer, I highly suggest you contact them. But to give you a general guideline, depending on when you eat, you can take Vector 30-60 minutes before you workout; just make sure to have had your meal prior to working out and before taking Vector. Does this product boost natrual testosterone levels or does it convert into testosterone. Hi Altair – Thank you for your question. Vector is a testosterone booster which helps to stimulate your body’s natural testosterone production mechanism. Nothing in Vector converts to Testosterone. is this a good product to take with Andro or Gainz of steel? Hi Derek- Thank you for your question. You can take Vector with Andro the Giant and Super Mandro (Gains Of Steel), however you shouldn’t have to as either of those are very potent on their own. 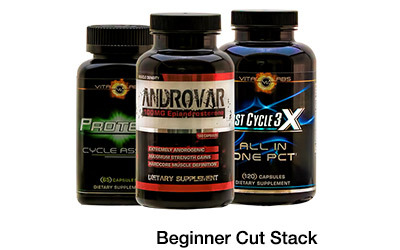 If you’ve never done a cycle with an Andro product, its best to start with just one of them first. 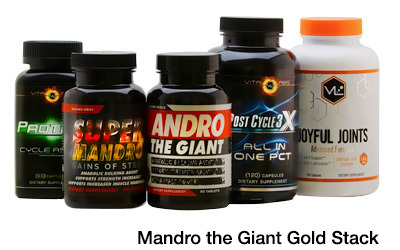 If you have done Andro cycles before, then a better choice may be to get the Mandro The Giant Stack, which stacks Andro The Giant, Super Mandro and Protex (for on cycle support). 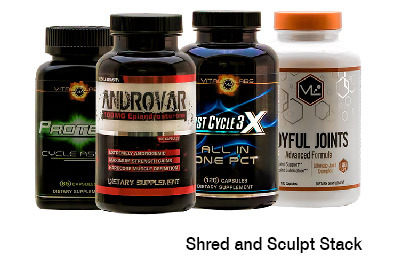 Its our best bulking stack according to customers. All that said, I have heard of customers stacking Vector with an Andro, although I have to say its rare. If you are not totally clear on what approach is best for your then I highly suggest you contact our Pro Support Team and ask the question, they are happy to help you out. Can Vector be used with Prime male together? Hi Jim- Thank you for your question. I’m really don’t know anything about Prime Male as its a product we don’t sell. Assuming its a test booster you are looking to use together with Vector, the answer is yes. I can say you can use Vector and Sergeant Steel or DAA Max together as we have customers who are already using those. What time of day is best to take this, I usually workout around 8-10PM and my last meal is roughly 6:30PM. It says 3 pills twice a day. Just trying to maximize everything here. Hi Matt- Thank you for your question. First, to get a much faster response please contact our Pro Support Team in the future. They can help you out right away and give your personal service. Now, to answer your question take the first serving in the morning at breakfast time (with food) and the second serving at dinner time (again with food). Do this for the whole cycle.